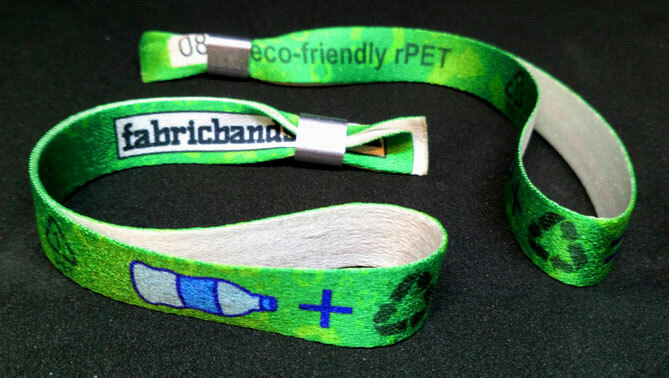 These eco-friendly wristbands are made from the recycled material rPET. common plastics in the world. Water bottles are made from PET. PET and then refining the material into flakes which can then be turned into new products, such as fabric. 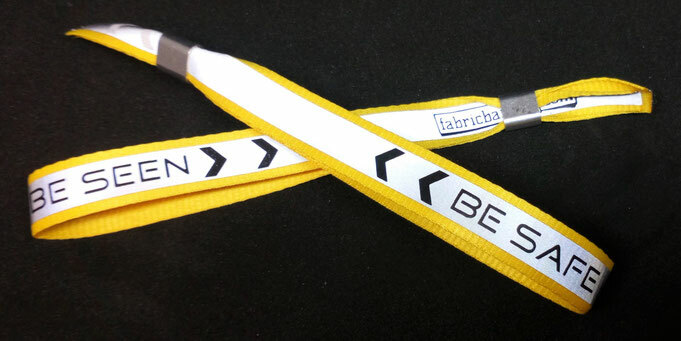 The reflective grey strip across the band shines brightly against light shining against it making it very visible.